Filling the shoes of NASA’s Kepler spacecraft won’t be easy. Since its launch in 2009, Kepler has discovered nearly three-quarters of the 3,700-plus known exoplanets. And there are thousands more candidates waiting to be confirmed. So NASA is taking a different approach with its next planet-hunting mission. On 16 April, the agency plans to launch the US$337-million Transiting Exoplanet Survey Satellite (TESS), which will scrutinize 200,000 nearby bright stars for signs of orbiting planets. TESS will probably find fewer worlds than Kepler did, but they will arguably be more important ones. TESS is meant to identify planets that are close enough to Earth for astronomers to explore them in detail. Team scientists estimate1 that the spacecraft will discover more than 500 planets that are no more than twice the size of Earth. These worlds will form the basis for decades of further studies, including searches for signs of life. “We’ll see a whole new opening of exoplanet studies,” Seager says. Both Kepler and TESS are designed to scan the sky for planetary transits, the slight dimming that occurs when a planet moves across the face of a star and temporarily blocks some of its glow. For most of its mission, Kepler stared at a deep but narrow slice of the Universe — peering out some 920 parsecs (3,000 light years) from Earth but covering only 0.25% of the sky. Its celestial census showed that planets were common throughout the Milky Way. “We found that planets are everywhere,” says Elisa Quintana, an astrophysicist at NASA’s Goddard Space Flight Center in Greenbelt, Maryland. By contrast, TESS will go shallow and broad — looking at stars within 90 parsecs of Earth but covering more than 85% of the sky. 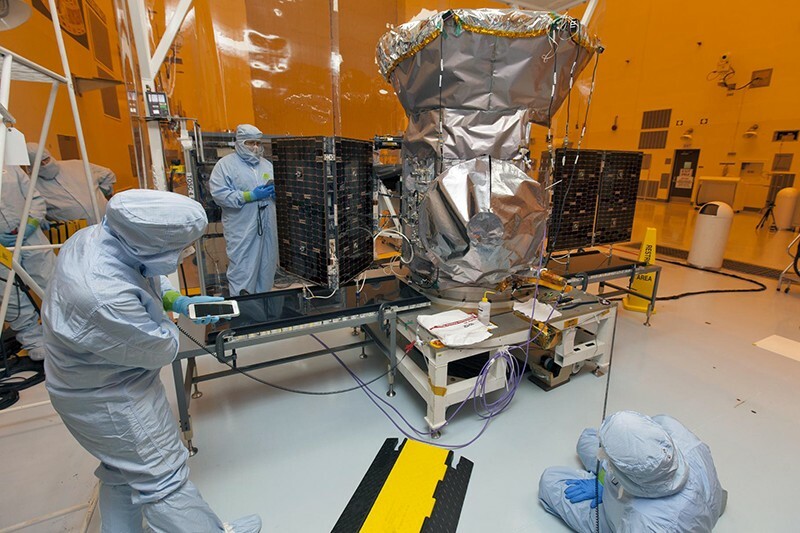 Its 4 cameras will give the spacecraft a field of view about 20 times the size of Kepler’s. TESS will sweep the southern sky first and then, after a year, turn its attention to northern stars; all told, it will observe at least 30 million celestial objects. The observing swathes will overlap at the south and north ecliptic poles, which are points perpendicular to the plane of Earth’s orbit. That’s by design, because NASA’s James Webb Space Telescope, now planned for a 2020 launch, will also be able to study those regions at any given time. Webb’s 6.5-metre primary mirror will allow detailed spectroscopic studies of the planets’ atmospheres, but it will be in high demand for a range of other astronomical research. “The time on Webb is going to be so precious,” says George Ricker, an astrophysicist at MIT and TESS’s principal investigator. Once TESS spots interesting planetary candidates, a fleet of Earth-based observatories will kick into action. These will include planet-hunting stalwarts such as the HARPS instrument at the European Southern Observatory in La Silla, Chile, and the new Miniature Exoplanet Radial Velocity Array (MINERVA)-Australis, a group of five planned 0.7-metre telescopes near Toowoomba, Australia. “We have the ability to hammer on a target every night if we need to,” says Rob Wittenmyer, an astronomer at the University of Southern Queensland in Toowoomba who helps lead MINERVA-Australis. These and other ground-based telescopes will be able to deduce the TESS planets’ masses, and from that their composition — whether rocky, icy, gassy or something else. Recent research suggests that TESS may yield a greater bounty than once thought. Earlier this year, MIT astronomer Sarah Ballard re-calculated how many planets TESS might find orbiting the cool, plentiful stars known as M dwarfs — and predicted some 990 such planets, 1.5 times more than earlier estimates2. The sheer volume of discoveries would allow astronomers to begin comparing broad classes of exoplanets: learning how stellar flares affect planetary atmospheres, for instance, or what sorts of planets surround stars of different ages. TESS will soon have company. The European Space Agency (ESA) plans to launch its Characterising Exoplanet Satellite late this year. The craft will measure the sizes of known planets — from those a little bigger than Earth to ones that are roughly Neptune-sized — orbiting nearby bright stars. ESA is also planning two missions for the 2020s: PLATO to study Earth-sized exoplanets, and ARIEL to study planetary atmospheres. The next generation of missions will come just in time: Kepler is on its last legs, with only a few months’ worth of fuel left to help it make its final discoveries. Sullivan, P. W. et al. Astrophys. J. 809, 77 (2015). Ballard, S. Preprint at https://arxiv.org/abs/1801.04949 (2018).